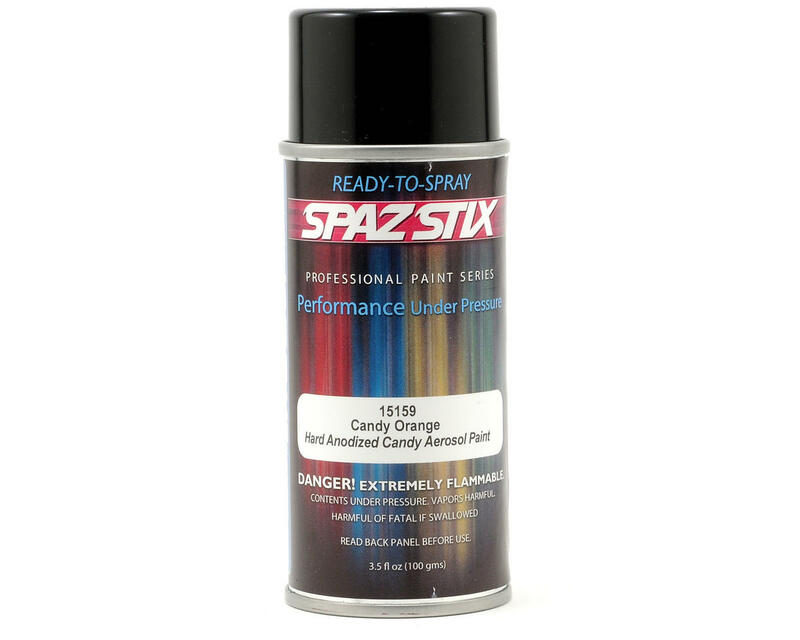 This is a 3.5 ounce can of Spaz Stix "Candy Orange" Spray Paint. Spaz Stix is the premier brand when it comes to high-end RC Paints... whether your a seasoned PRO or just breaking into the industry you'll find that nothing beats Spaz Stix when it comes to un-surpassed quality and ease of use! This stuff is a beautiful red-ish orange with a really nice flake to it. I really enjoyed this paint in the sun it really pop's!